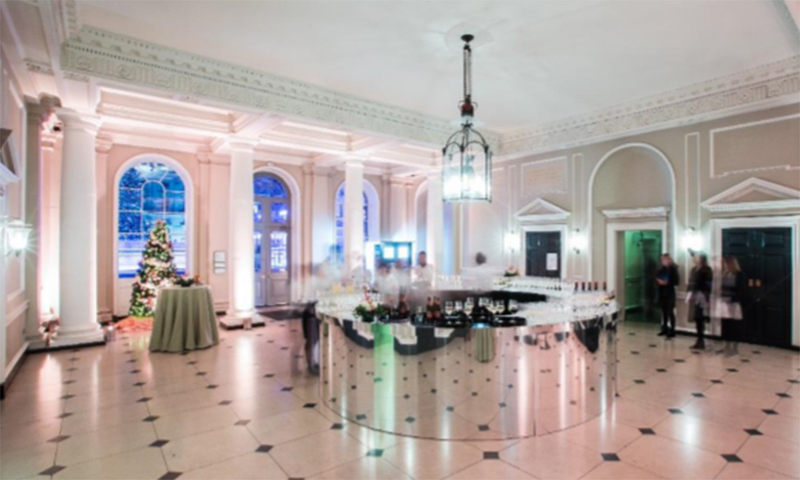 This December, Somerset House is delighted to introduce a range of Christmas packages for the festive season. Choose to party the night away in the grandeur of Seamen’s Hall, or feast on a delectable three-course lunch in the elegant Portico Room. On arrival, your guests will be met by the ultimate Christmas backdrop. Entering through the striking stone arches they will be greeted by Somerset House’s spectacular ice rink and soaring Christmas tree. 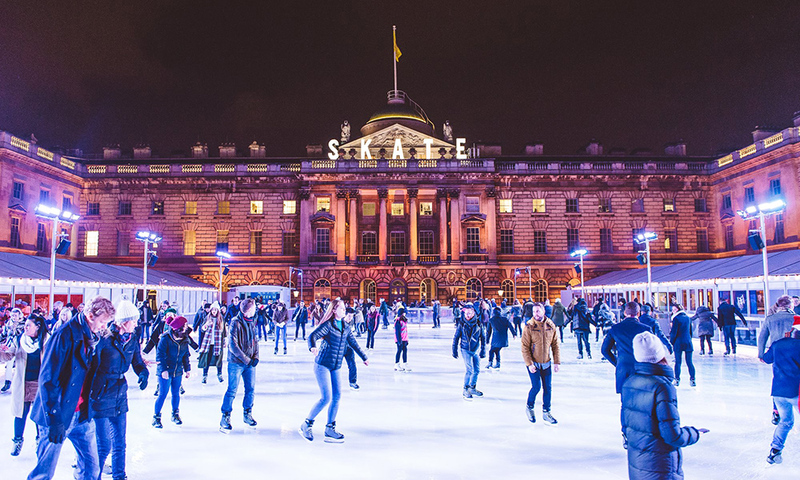 Skate at Somerset House with Fortnum & Mason is the picture perfect setting for your festivities. 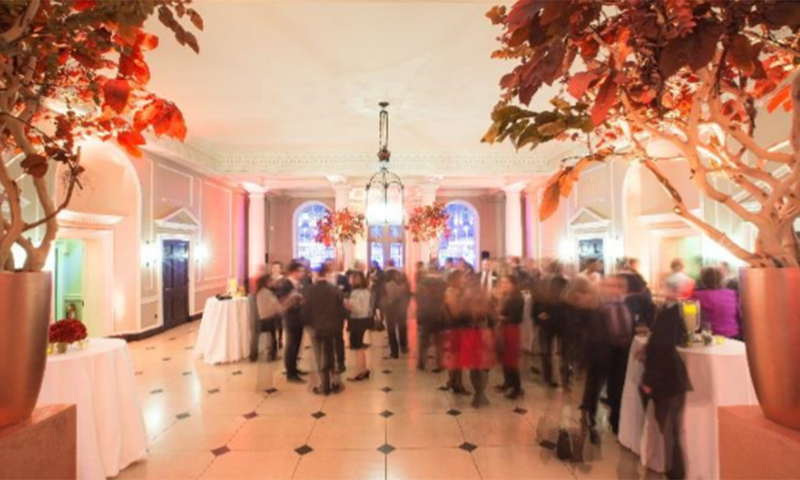 Seamen's Hall offers the perfect Christmas party space with black and white marble floors, Corinthian columns and London’s favourite ice rink as a backdrop. 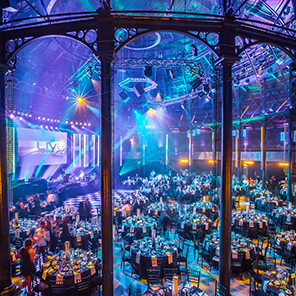 This historic venue has been at the heart of Somerset House since its beginnings, as the nerve centre of the nation's naval power in 1789, and is a prime festive location. Guests can enjoy a spin on the ice as well as wonderful views over London’s Southbank from the River Terrace, a section of which is included in your package. With beautiful high ceilings, original sash windows together with the best view over the ice rink, the Portico Rooms offer a contemporary and elegant space for your Christmas lunch. There are balconies at either end of the room where guests can enjoy al fresco drinks overlooking both the ice rink and the iconic River Thames. 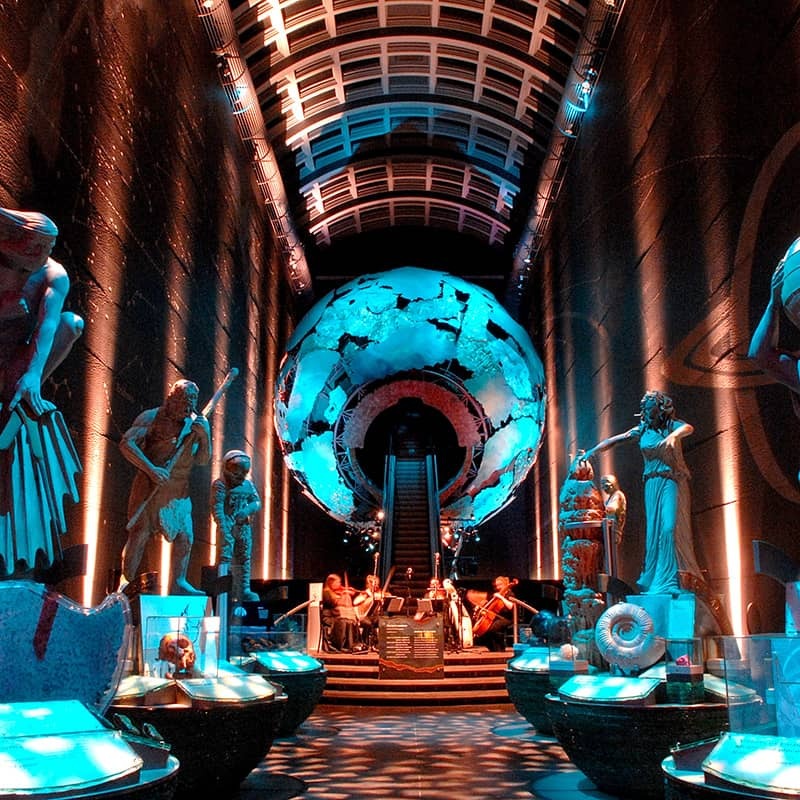 There is also the option for your guests to take to the ice rink for the ultimate festive experience! 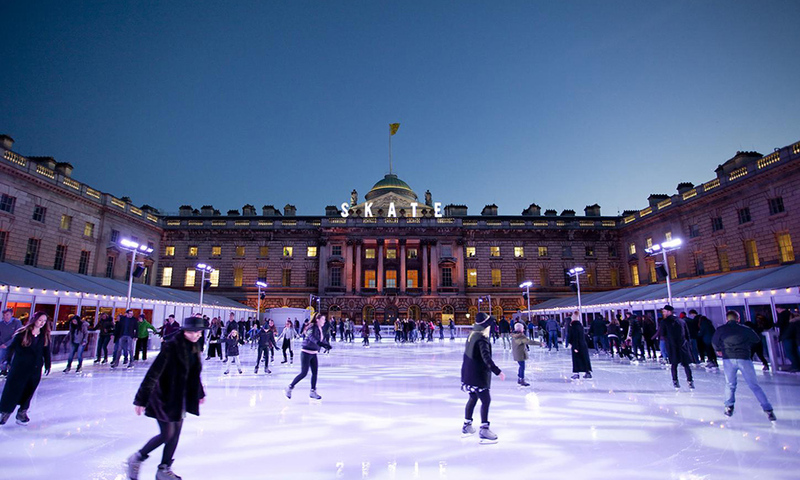 Somerset House boasts a huge, beautiful ice rink that is available for exclusive hire with both packages. There are three options available - see the prices tab for more information. Buses 1, 4, 6, 9, 11, 13, 15, 23, 26, 59, 68, 76, 87, 91, 139, 168, 171, 172, 176, 188, 243, 341, 521, RV1 and X68 all pass along the Strand and/or Aldwych, stopping within 100-200 metres of Somerset House. River Bus Services RB1, RB2 and RB6 all stop at Embankment Pier, roughly 600 metres from Somerset House. What's included in the Seamen's Hall Package? What's included in the Portico Room Package? What's included in the Portico Room Buffet Package?